You might not want to, but sometimes it’s necessary to leave your pet at home. While most cats are perfectly content to spend a few hours in solitude, dogs are more social creatures who would usually prefer the company of an owner to being alone. To help assuage separation anxiety, many pet parents turn on some tunes for their furry friend before leaving the house. However, a 2015 study suggested that music may not be as effective as audiobooks when it comes providing a feeling of company to stressed-out pets. In the wake of the study, Audible teamed up with dog behaviorist Cesar Millan to launch Audible for Dogs -- a selection of audiobooks that purportedly helps keep dogs calm and relaxed while their owner is away. Audible and Millan, better known as the "Dog Whisperer," conducted their own research at Millan’s Dog Psychology Center and found that 76% of dog owners noticed that audiobooks helped their pets relax. 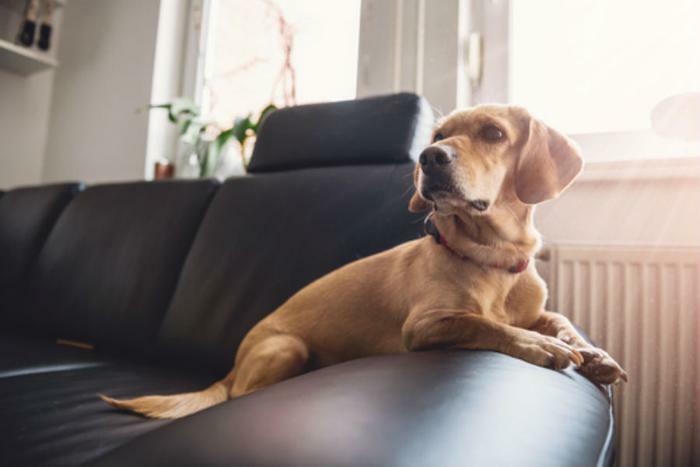 Audible’s research showed that dogs responded best to narrators of the same gender as their primary owner, played at average volume on an in-home listening device. “I’m excited to work with Audible to continue my mission of educating people on how to foster a calm, happy dog the right way,” Millan added. Dog owners can get acquainted with the audiobook collection by listening to Cesar Millan’s new Guide to Audiobooks for Dogs. From there, pet parents can queue up a rotating selection of dog-focused audiobook titles for their pup. Titles include: A Dog’s Purpose, Soldier Dogs: The Untold Story of America’s Canine Heroes, Pride and Prejudice, and The Art of Racing in the Rain. At the beginning of each title, Millan explains why the book is specially suited to doggy ears. Pet owners who don’t have an Audible subscription but would like to try Audible for Dogs can listen to one free selection with a 30-day membership trial.